On the 8th of March, just fifteen days away from the welcoming Spring, the snow arrived in Penedès, as well as in many other parts of Catalonia. The snow was 15cm deep. 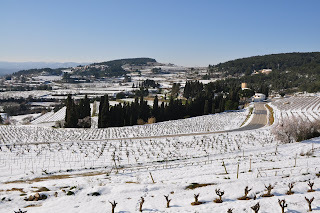 This is the magnificent white blanket that the snow left in our cellar and vineyards.